If you’ve been thinking about a Pigeon Forge winter vacation with your family, we’ve got some great ideas on how you can have a fun time exploring the city, enjoying a Pigeon Forge cabin and maybe even spending time with relatives who you don’t get the chance to see often! No matter what you get into, Pigeon Forge is guaranteed fun for everyone! 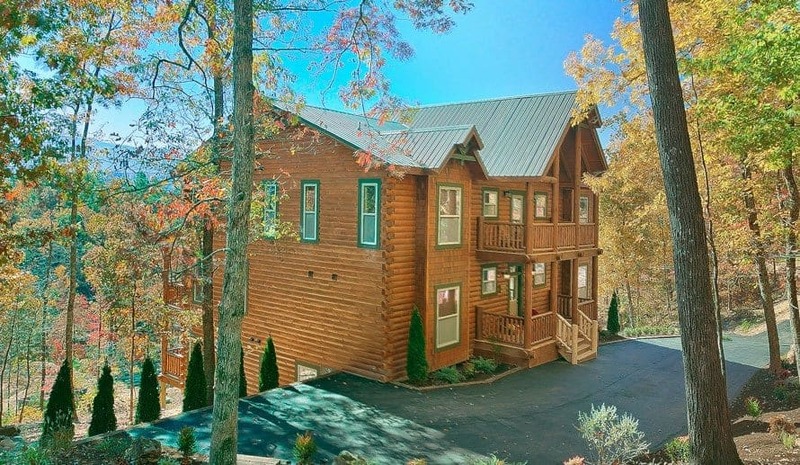 One of the most fun ways to spend a Pigeon Forge winter with your family is by renting a cozy Pigeon Forge cabin and settling in for a weekend of games and movies. 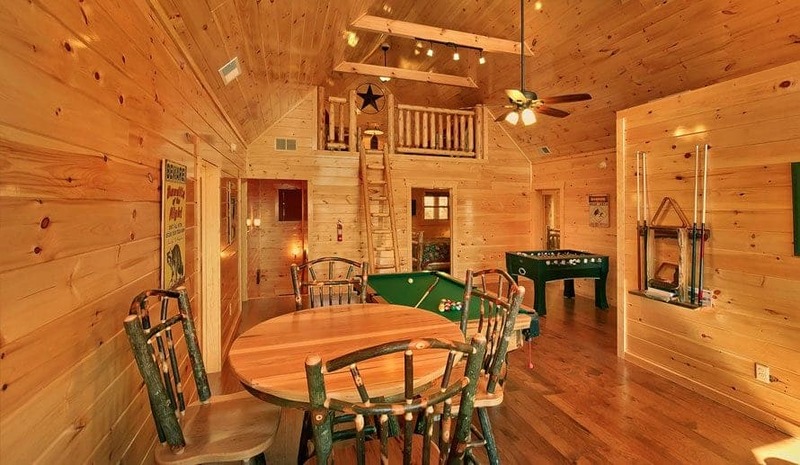 Spending a few days relaxing and having fun with your spouse and kids is the best way to escape from daily stress and recharge your batteries, and our cabins make it easy to keep everyone entertained through the whole vacation! With decked out game rooms and fully loaded theater rooms, our cabins are the ultimate spot for game competitions and movie marathons. Our game rooms have all the most popular table games like pool, air hockey, foosball and ping pong, and some even have classic arcade games and video games. Teach your kids a thing or two about pool and then let them show you all their video gaming skills! Our theater rooms are so decked out that you will forget that you’re not at a real movie theater! 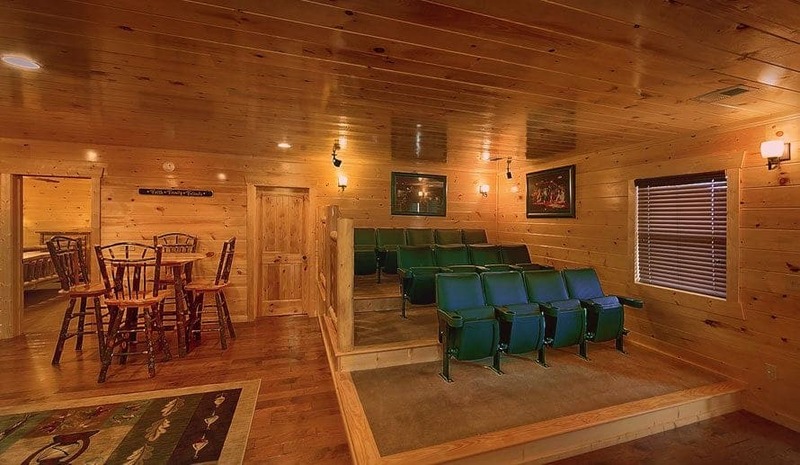 They’ve got large screens, comfy stadium seating and surround sound audio, all in the comfort of your Pigeon Forge TN cabin. On your way to the cabin, stop at a local grocery store to pick up popcorn, candy and sodas, and don’t forget to bring a collection of your family’s favorite films! Another great way to enjoy a Pigeon Forge winter with family is to check out all the fun area attractions. Pigeon Forge has so much to offer visitors, from excellent shopping to the absolute best dinner shows! For a day of non-stop shopping, head on over to Sevierville. Over 100 outlet stores await you for the best place to shop for gifts, expand your wardrobe, buy decorations for your home and so much more! If you like the sound of an exciting evening out on the town, you’ll want to check out Country Tonite Theater. You will be amazed by the flashy costuming, talented dancers, incredible singers and musicians and hilarious comedians! And their celebrity concert series makes it possible to see some of your favorite country musicians take the stage! 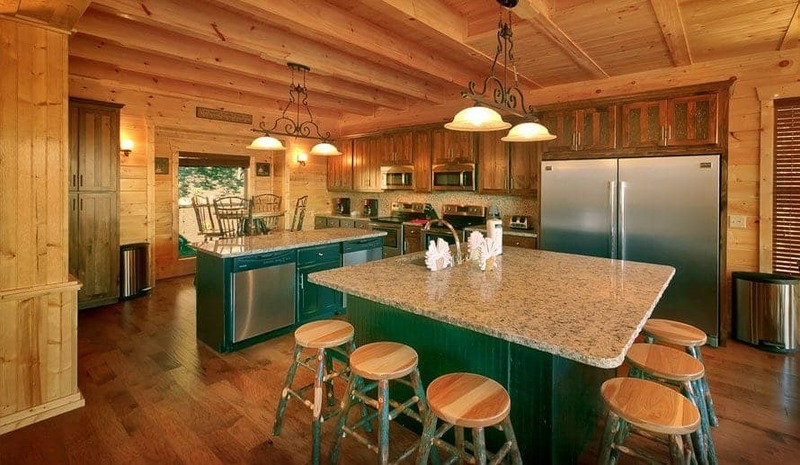 Our large Pigeon Forge cabins are the perfect place to turn your family vacation into an extended family reunion! 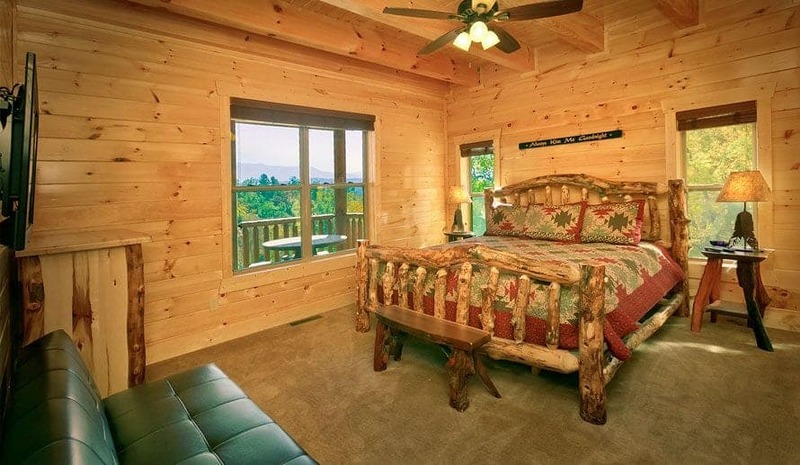 We have cabins large enough to comfortably sleep over 70 people, which means you will have more than enough room for every single family member that you may want to invite! 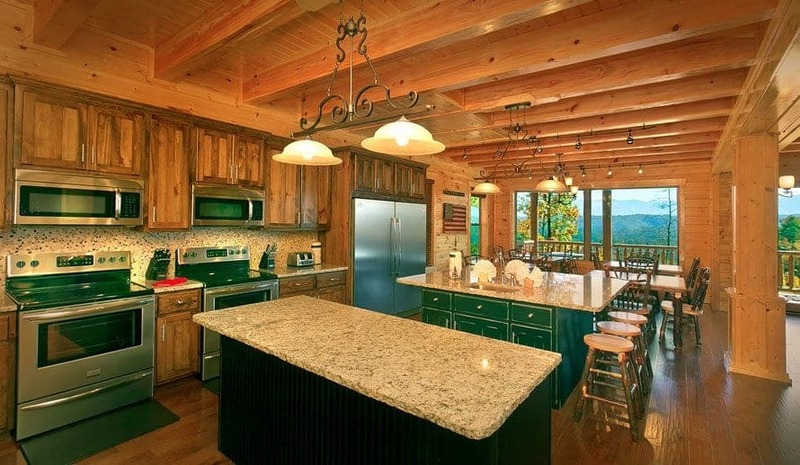 Not only will your relatives love getting the chance to spend a few fun days in the Smokies, but planning a reunion at our cabins saves you from the hassle and stress of having people over to your house. You’ll have a great time catching up with all the aunts, uncles, cousins, grandparents and kids of the family, and you’ll also make it through the reunion with both your wallet and your sanity intact! 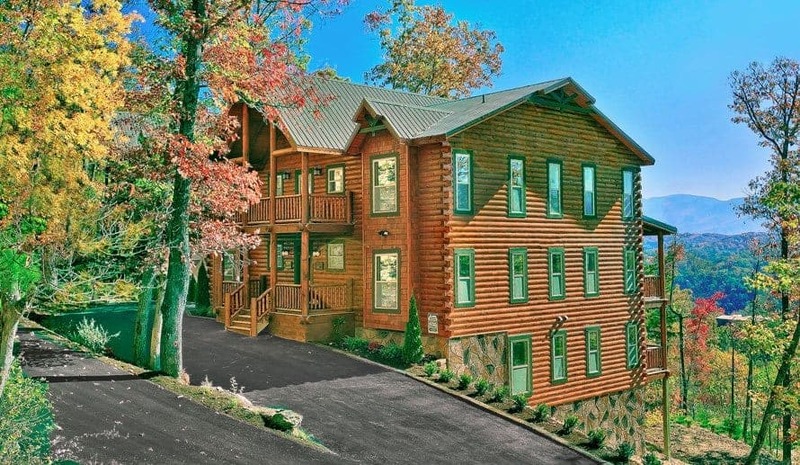 Now that you know several fun ways to enjoy a Pigeon Forge winter vacation with your family, browse through our selection of large Pigeon Forge cabins and choose the perfect one for you!